Every Wikipedia page should have the link to the license of its content in an appropriate place. However, flow pages in the Topic namespace lack a license. For example [[:ca:Tema:U5rfnr0igmb9zhgc]]. 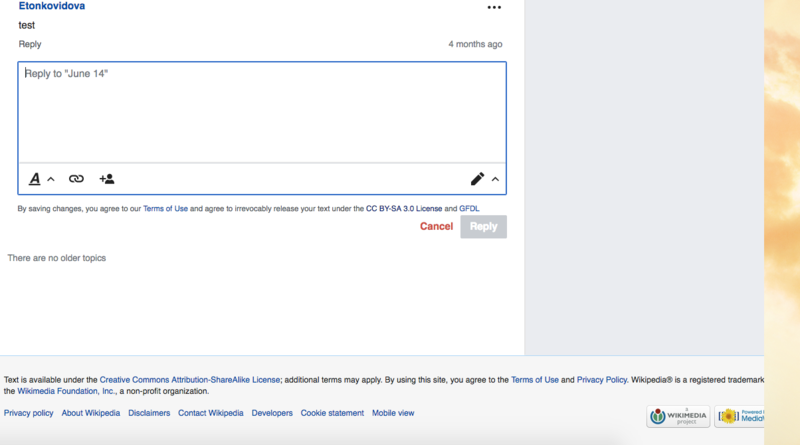 Please notice that flow-enabled discussion pages do have a license link, and message edition flow pages also have a license. The issue just affects Topic namespace - that is, pages where you can see just one topic. T186174: [betalabs-minor] SD pages display warning: "Your skin is incompatible with VisualEditor." GPLv2 or later, isn't that? Trizek-WMF added subscribers: Catrope, Trizek-WMF. @Catrope, this is quite important. Can we solve that soon? SBisson assigned this task to Catrope. SBisson moved this task from Untriaged to QA Review on the Collaboration-Team-Triage (Collab-Team-This-Quarter) board. Checked the fix in betalabs - the copyright footer is added to SD board, topic, and post pages. [mediawiki/extensions/Flow@master] Revert "Add copyright footer to all pages that need it"
SBisson moved this task from QA Review to In Development on the Collaboration-Team-Triage (Collab-Team-This-Quarter) board. I think we should introduce a new method $out->showsCopyright(), that defaults to isArticle, but is overridden in Flow. MMiller_WMF moved this task from Inbox to To Triage on the Growth-Team board. @Trizek-WMF says it's still important, so let's figure it out in Q2. JTannerWMF moved this task from Incoming to Ready for Development on the Growth-Team (Current Sprint) board. 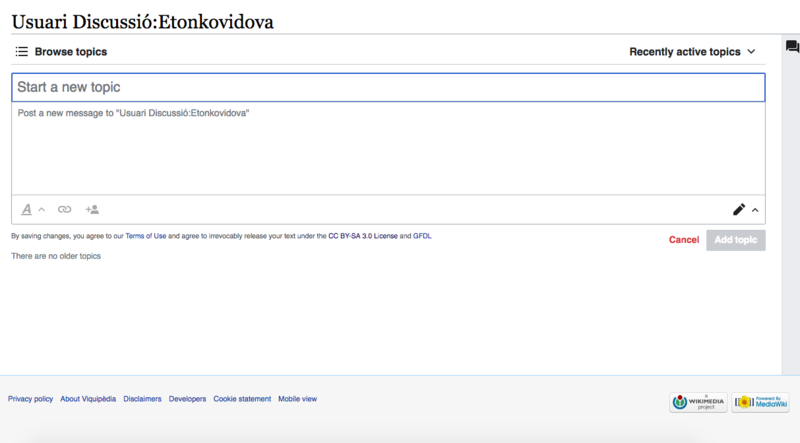 @Trizek-WMF please take a look if everything is in place - the screenshot below is from betalabs and the message displayed is from https://translatewiki.net/w/i.php?title=Special:Translations&message=MediaWiki%3AWikimedia-copyright (the specific reference was mentioned in your comment).